Disabled People’s Organizations have held a series of trainings in media relations for both Civil Society Organizations and Journalists, to try and fill the chasm created by the Media in its inability to air human interest disability related stories. If aired; these stories usually come with victimization and helplessness overtones which are rarely the case for most Persons with Disabilities. Civil society organizations should take interest and build lasting relationships with both media houses and journalists. This should come through various interactions both professionally and outside of work as they get to acquaint themselves with each other and their work. The comfortable and easy relationship will make it possible to give disability related stories coverage based on facts and experience instead of assumptions. Provision of information prior to the event is very important for maximum coverage and it can be done through a press release. 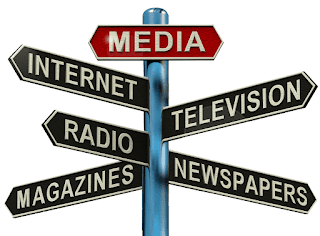 Although some may argue that a press release is devoid of flesh for a news story, others say it acts as a cause for investigation leading to a newsworthy story. The issuance of a press-release covers the therefore to misrepresentation Civil Societies and Persons with Disabilities face when it comes to print media. Niche journalists well versed on disability and the language will go a long way in the coverage of disability related stories. Civil Societies working with Persons with Disabilities need to look out for editors and journalists who are knowledgeable on disability and build their capacities further, and involve them at disability related events so they can be the agents of change in the media for Persons with Disabilities. When it comes to interviews; Civil Society Organizations need to be as open as possible with journalists albeit within limits. Giving the journalist a lot of room for questions and conversation invariably leads to misquotation in the media yet it was information provided by the interviewee. Civil Society Organizations and Persons with Disabilities should try not to deviate from the topic in an attempt to be as informative as possible during interviews at events for better coverage and representation. Journalists believe that the real stories worthy of front page coverage are the ones coming from the grass-roots, in the districts of operation for Disabled People’s Organizations. They therefore wish to be requested for coverage during field work activities so they can get firsthand information and experience on the work done by Disabled People’s Organizations and Persons with Disabilities towards the improvement of their livelihoods. Use of alternative media to put across issues of Persons with Disabilities should not be ignored. Social media has become such a powerful tool in communication that journalists are looking to it now as a news source. The use of social media gives the user full control over the content and tone they wish to use when delivering stories pertaining to Disability and Persons with Disabilities. Hope you can totally relate!